When I die, my last meal request would likely be a vegan Banh Mi sandwich. 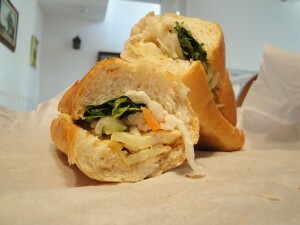 In particular, a vegan Banh Mi Chay Vietnamese sandwich! It even sounds great! Say it out loud! Bánh Mì! — pronounced “Bon Mee”. I’ve always loved Vietnamese food. Their combinations of spicy and salty, with a touch of sweet and sour, produce that perfect umami flavor perfection that I love so much. Only Thai food rivals the joys of umami and would be a close 2nd for a death bed meal, but a Banh Mi Chay is really my last wish. Sure, you can make your own Bánh Mì at home, but they are so inexpensive that I just prefer to let the experts make them and buy Banh Mi from a restaurant, street food cart, or food truck. One of our favorite places in San Diego is Banh Mi San Marcos. 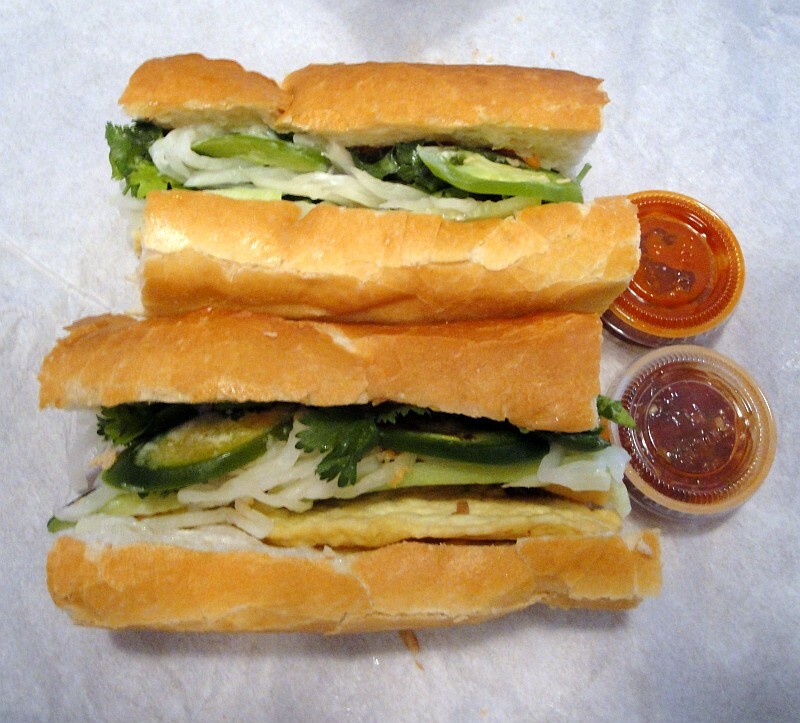 They make these giant Banh Mi sandwiches and it is family owned and operated. The secret to a great Banh Mi is extremely fresh ingredients, especially the French baguette used for the bread, and Banh Mi San Marcos gets it right every time. 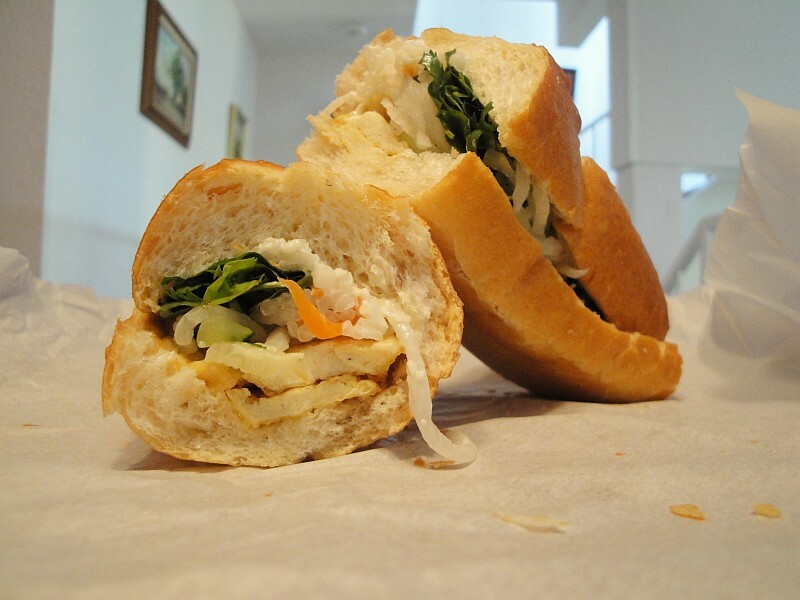 We order the Banh Mi Chay fried tofu sandwich without mayo and add Vegenaise ourselves in place of the mayonnaise. It comes with the traditional ingredients of cucumber, jalapeño, pickled carrots and daikon, with cilantro, and we like to add Sriracha or chili garlic sauce to each bite. Some Vietnamese restaurants use fish sauce with their tofu or on the sandwiches, so be sure to ask about that to make it vegan. 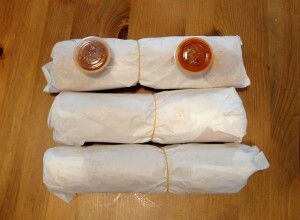 Bánh Mì San Marcos does not use fish sauce on the Bánh Mì Chay. Yay! 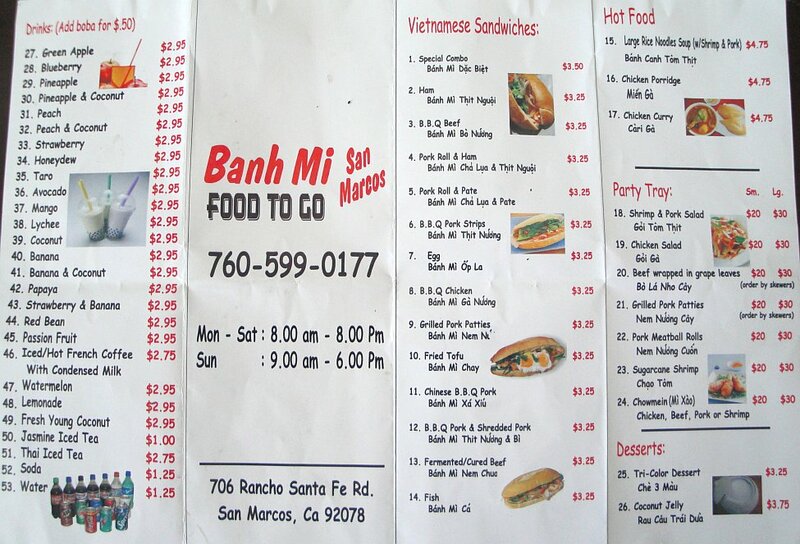 Banh Mi San Marcos is located at 706 Rancho Sante Fe Road San Marcos, CA 92078. You can phone 760-599-0177. They don’t have a website, but I’ve included a picture of their menu, which also shows their hours. They are closed on Sundays. 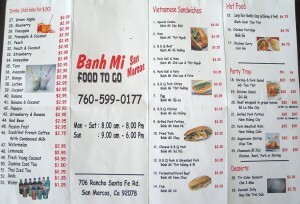 They have some of the best Banh Mi Vietnamese sandwiches I have ever tasted, and I’ve had many. Give them a try or search your local area for a restaurant that serves the Banh Mi Chay fried tofu sandwich. 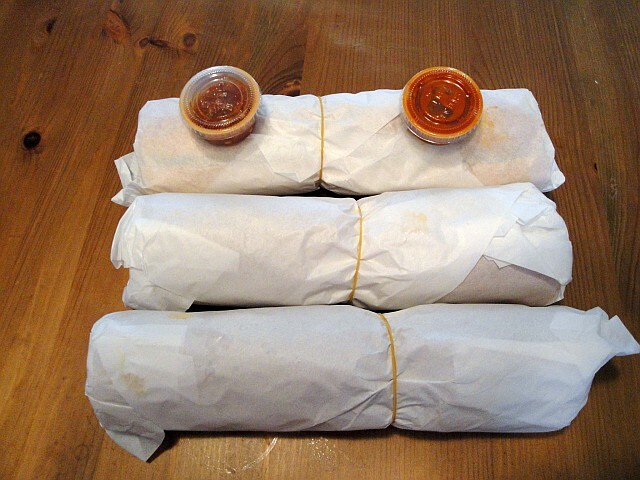 If you’ve never had one then you are missing out on true delight. Do not deprive yourself. Go now! It may very well end up being your death bed last meal request, too.